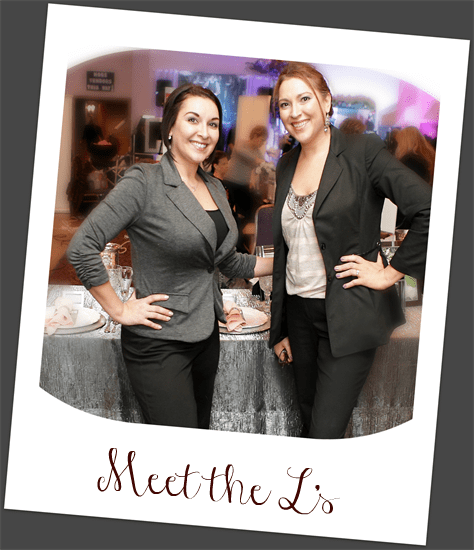 We’re so happy to introduce you to our lovely friends Laurie and Lisa at Events by L! Renowned as Chicagoland’s Premier wedding and event planners, Events by L has emerged as one of Illinois’ paramount wedding and event planners for your dream day. Having expertly managed numerous weddings of distinction, what sets this team of sisters apart is their boutique service, which ensures every wedding is unique. Together, their highly-respected, award winning team has set the benchmark for social and corporate events that bear the exclusive ‘Events by L’ signature – sophisticated, unique and seamless celebrations. 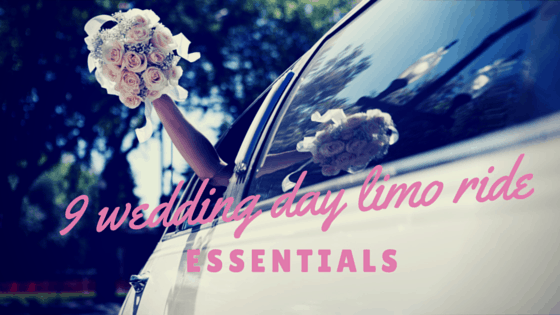 Events by L will share with us 9 essentials you need for a smooth limo ride to your wonderful wedding day. When planning for your wedding day there are so many decisions to make! It’s easy to overlook some of the not so obvious details. If this is your first time getting married, it’s easy to become overwhelmed with the seemingly never ending list of details. You’ve got the dress, the florist is selected, the seating arrangement is finally in order, décor and food is solidified, and transportation is reserved. You’re all set now. Right? Wrong! Have you thought about the ride to and from each location? What will you need on the way to the ceremony and venue if they are in separate locations? What about on the way back to the suite? This is a really important part of your Big Day and you want to be prepared so you can sit back and enjoy the ride of your life! Here are THE essentials for your wedding day limo ride that you need to have packed up in a freshly monogrammed tote! It is our belief that no one should roll up to their wedding ceremony in silence. Quite honestly, you will probably be a ball of nerves and not really in the mood to fiddle with the radio (or know how to.) Create a playlist that will create the perfect atmosphere to get you in the mood to party, or whatever mood is quintessential for you. Don’t forget about a playlist for the ride to the reception (if at another location) and for the ride at the end of the night to your accommodations. If you are shuttling groups of guests, don’t forget about them! Put together a playlist that will convey to them that they are on the way to the ultimate celebration! Make sure to ask your limo company about the preferred method to get those songs playing (cds, ipod/mp3 player cables, bluetooth, etc.). Antacids are a must! We previously had mentioned that you might be a ball of nerves on your Big Day. All of those wonderful emotions can sometimes wreak havoc on our bodies in the form of inflammation, heartburn, stomach discomfort and other symptoms. As Chicagoland wedding planners, we have them on us at all times in addition to the multitude of other items in our Emergency Kit to help you or your loved ones in their time of need. Having that kit ready and with you in the limousine is a good idea to make sure you make it through the day! This is a celebration after all, a toast is in order! Talk to your limousine provider to see what kinds of accommodations they can provide for you. Cruising around in your luxury vehicle is an ideal time to capture some of the most candid and memorable moments that will take place. Think about it this way – the entire day you (mostly you) and your wedding party will essentially be under a microscope. This is your moment to let it all hang out and not worry if Great Grandma Martha is watching. It’s going to be a fun ride! If you want some photo time with the limo, make sure to plan for it and inform your limo company beforehand so that you have ample time to take photos without rushing to your next stop. Don’t forget your bouquets, boutonnieres, wristlets, and any other wedding party flowers that you need on you for the day. If you know you’ll be carrying a lot of extras with you, it would be wise to choose a larger limousine. You don’t want to be cramped for space! Among all of your essential beauty regime items, invest in and pack a good shine reduction powder. You’re going to want to use it! So will the groom – surprisingly, they also love feeling pampered. Who knew? A little translucent powder also helps to avoid the groom’s skin from looking oily in those beautiful wedding pictures you’ll have for years to cherish. Nothing like a touch up in the limo while you are on the way to your next location! For those tears of joy and to help ensure your beautiful makeup lasts from before your ‘I do’s’ until the very last dance! Pack and drink tons of water! Our nerves have an awful way of drying out our mouths. The last thing you’ll want when you are getting ready to profess your beautiful vows in front of a crowd is cotton mouth. You are in for a long day. If you’re imbibing, water is mandatory. In addition to alcohol, you can ask your limo company to stock the bar with water for you, making it that much more convenient for you on your big day. Nerves can really take over on this important day. For some, they can cause swelling in your hands and feet, or clamminess that will make it rough to slide a ring on. Put lotion on just before you take that walk down the aisle for smooth sailing! You’ll thank us later! What will you be packing for your wedding ride ladies? We hope you enjoyed the tips that Events by L has been so kind to put together for us.